Water intoxication or hyperhydration is a fatal medical condition resulting from the overconsumption of water or other fluids. Also known as water poisoning and water toxemia, the general underlying pathophysiology of this condition centers on a disturbance in brain function due to imbalanced electrolyte levels caused by excessive water intake. Note that the general cause of water intoxication is excessive water intake. However, the pathophysiology behind this condition can be explained and understood further at the biological and cellular level. The kidneys normally filter out excess water from the bloodstream. But on an average, these organs can only process 800 milligrams to 1000 milligrams of water per hour. Drinking beyond this threshold within a limit means consuming water faster than the kidneys can process. Excess water ends up in cells. The cells are surrounded by a balanced solution of water and electrolytes such as sodium. This solution is called extracellular fluid. Both electrolytes and water flow in and out each cell through the cellular membrane. Hence, there is also a balance between these two inside the cells. The solution of electrolytes in the cells are called intracellular fluid. Too much water dilutes the electrolytes in the solution surrounding the cells. To balance the solution, the water moves inside the cells, thus causing them to swell. This is water intoxication. Most of the cells can handle the swelling to a certain degree because soft tissues can stretch. However, the case is different in the brain. Cells in the brain also swell due to water intoxication. The brain swells as a result. Because the skull is hard and rigid, the swelling brain builds up pressure, thus increasing intracranial pressure. The immediate symptoms of increased intracranial pressure due to water intoxication include headaches, changes in behavior and personality, confusion, irritability, and drowsiness. These symptoms are followed by muscle weakness and pain, twitching and cramping, difficulty in breathing during exertion, nausea and vomiting. A person experiencing an increased intracranial pressure due to water intoxication will further experience reduced ability to perceive and interpret sensory information. As the condition persists due to the further swelling of the brain and increased intracranial pressure, the person can experience seizures, develop brain damage, undergo coma, or die. The severe impacts on the brain result from cerebral edema in which the brain cells have swelled to the point where blood flow is interrupted or from central nervous system dysfunction caused by swelling brain cells applying pressure to the brain stem. It is important to stress the fact that water intoxication is uncommon. Under normal circumstances, consuming too much water is rare. Most of the deaths due to water intoxication were due to water-drinking contests and long and strenuous physical activities that involved drinking copious amounts of fluids. A method of torture called water cure has also been regarded as one of the common and general causes of water intoxication. However, there are risk factors that make individuals vulnerable to water intoxication. For example, those with low body mass such as infants and children are more prone to this condition because their threshold for water intake relative to their body mass and sodium stores is lower than adults. 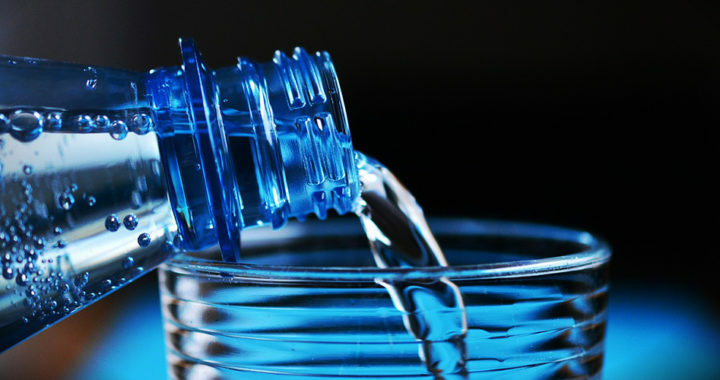 Psychiatric conditions compel an individual to consume large amounts of water. The condition called psychogenic polydipsia involved a patient drinking large quantities of fluid in the absence of physiological stimuli. The same behavior has been observed in patients with schizophrenia. As noted above, long and strenuous physical activities can promote large consumption of water. Those who participate in endurance sports such as marathon runners are susceptible to water intoxication due to heat stress as evident from excessive sweating and a feeling of thirst. Other risks factors include heat stress due to being in a hot and humid weather condition or taking of psychoactive drugs such as MDMA or Ecstasy that causes heavy perspiration, stimulates a feeling of thirst due to dryness of the mouth and throat, and antidiuretic properties.